It’s a well-worn fact that our round Earth is warming, and that human carbon emissions are the cause. What’s less well-known is how much warming we’ve already committed our planet to in the future. A new study crunched some numbers and came to an alarming answer—but other experts are already criticizing its approach, reminding us that the course of climate change remains incredibly tough to predict. The two degrees Celsius warming target—adopted by scientists and politicians alike as a threshold we ought to stay below to avoid catastrophic climate impacts—is very likely to be surpassed this century, according to a study out in Nature Climate Change today. 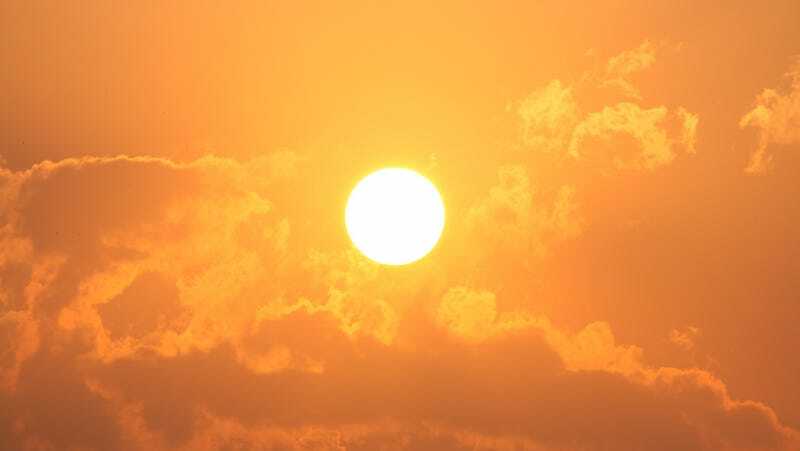 Using statistical models that project trends in socio-economic factors like GDP and population growth forward in time, the University of Washington-led study estimates there is only a five percent change Earth will warm less than two degrees this century. Depressingly, the authors estimate just a one percent chance that we’ll remain below 1.5 degrees of warming, the “stretch goal” set forth in the Paris Climate Agreement, which is thought to offer low-lying island nations the best chance of remaining above water. Instead, the authors estimate a 90 percent chance temperatures will rise two to 4.9 degrees Celsius (3.6 to 8.8 degrees Fahrenheit) by century’s end. On the one hand, this isn’t surprising—many experts believe we aren’t reducing our collective carbon footprint quickly enough to align with the Paris goal. The planet has already warmed about a degree since pre-industrial times, and we know that there’s more warming baked in as economies make the transition to renewable energy, and as heat taken up by the oceans is re-released to the atmosphere. Another study out in Nature Climate Change last week also suggested we’re more likely to breach the two degree threshold than previously thought, because of uncertainty in how we define our pre-industrial “baseline” level of CO2. But when I sent the new paper to climate scientist Michael Mann, one of the co-authors of last week’s study on defining the pre-industrial baseline, he was immediately critical of its methods. “Color me deeply, deeply skeptical,” he said, noting that while his study described physical constraints on warming (i.e., how much CO2 we’ve already emitted), the new study is based purely on socio-economic trends—and assuming that those trends can foretell the future. “That ignores the fact that political will depends on many factors that cannot be predicted based on past behavior,” he said, noting that the recent growth in renewable energy, for instance, has exceeded the projections of many market forecasters. I’ve reached out to Adrian Raftery, lead author of the new study, with some of the criticisms enumerated above. I’ve also reached out to a few other climate scientists to see what they think, and will update this post if and when I hear back. But, in short, there’s still a lot of uncertainty about how much the planet will warm this century. Another study, also published today in Nature Climate Change, suggests we’re likely only committed to 1.5 degrees of warming. The two new estimates are barely within the error bars of each other. Of course, none of this changes the fact that we need to act quickly to avoid the worst consequences of climate change. So, what’s the average person to do about it all? If you live in a wealthy nation, here’s a list of choices you can make to align your lifestyle with the Paris goal. If enough of us make enough of these choices, it’ll help drive our economy in the right direction. But ultimately, the decisions that’ll lead to the most impactful shifts—those that cannot be predicted by models based on historical trends—are bigger than us. They’re policy decisions made at high levels of government. So, you can also vote.